Since banks are often seen as one of the most secure places throughout the world, it is important that they have the necessary tools in place to ensure your money is protected. 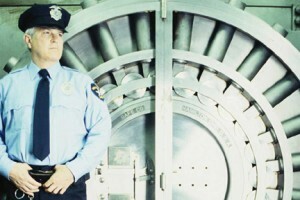 You rely on them to keep your money safe, so it is important that they are able to uphold their end of the commitment. A top of the line security system may be just the answer the banks need to ensure everyone is taken care of on a regular basis. Thanks to all of the amazing innovations in technology, you have ample choices from which you can choose for your business needs. 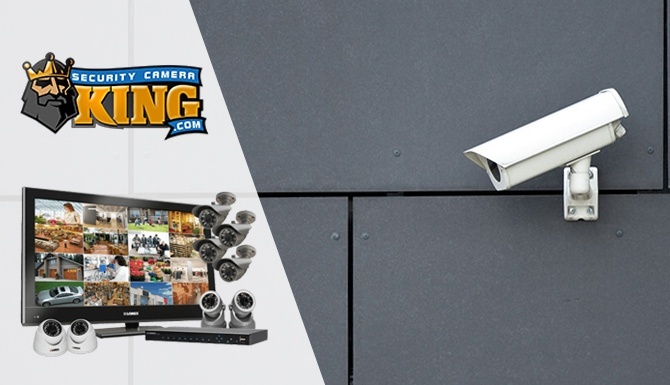 Surveillance systems are meant to help protect businesses and homes from trespassing, burglary, criminal activity or potentially dangerous activity. Even though a security system can have a variety of components, two main categories exist for the cameras to fall into, unmonitored or monitored and wireless or hardwired. All of the various security systems will have their own distinct set of disadvantages and advantages, so it is imperative that you take the time and consider all of your options beforehand. A monitored system functions by letting the call center know when an alarm has been activated. The operator will then make a call to the home or business with the alarm going off to check and ensure everyone inside of the property is safe. If there is an attempted break-in or a burglar is inside of the property, the alarm company will make a call to the appropriate authorities and get help on the way immediately. Based on information provided, two distinct disadvantages exist in employing a monitored system. These systems will generally rely on a phone line that is hardwired, which means that a burglar can simply disconnect or disable the phone line. A major storm could end up knocking out the phone lines as well, which leaves you open for intrusion and burglary. Call centers will never stand a chance in being able to reach the property owner who needs assistance when there are no phone lines in place. Operators take around 30 seconds to call your home or business once the alarm is activated, which provides the perpetrator with ample time to make their way around your property before the authorities arrive. An unmonitored system relies entirely on that of loud noises. These systems will trigger a siren or otherwise loud, high-pitched sound when the alarm is activated. The main goal is to help scare the intruder away and alert others of the impending situation. Floodlights and various other forms of lighting may be used in coordination with your security system for the same underlying reasons. One of the benefits to a system that is not monitored is that you will not have to worry about paying an extensive fee every month. On the other hand, you have the sole responsibility of calling the appropriate authorities and getting someone on the way to your property. A system that is hardwired will rely entirely on the ability to transmit data from the various security devices and sensors to a main control panel. Generally, you will have the control panel installed inside of an area that is hidden out of the way. It will contain a keypad that allows you to activate or deactivate the security system using a number combination. One of the biggest disadvantages to a wired system is that you will need to have a number of wires ran through your walls, ceilings, basements and various other structures to complete the installation process. 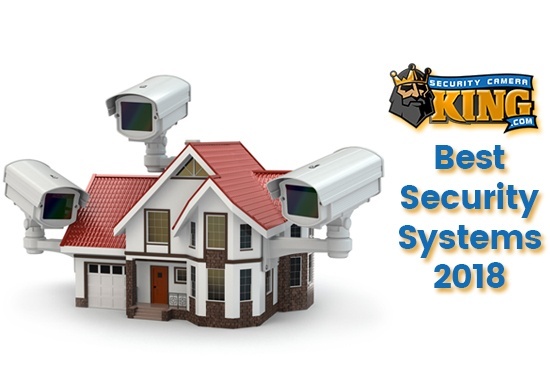 In today’s society, wireless systems are one of the biggest forms of security systems on the market. You will not have to worry about an extensive amount of wires cluttering the property. Not only are they easy to install, but you will not have to worry about where you can place all of the sensors for your business. Since these units are wireless, you will be able to move them around your business with no complications. If you decide to move business locations, you will be able to take your security system with you in no time. One of the main drawbacks to these units is that they are susceptible to any disruptions from various types of interference. You will also need to place batteries inside all of the components and sensors. Failing to replace the batteries in your unit could mean the difference between catching someone on tape and letting them get away with the crime. 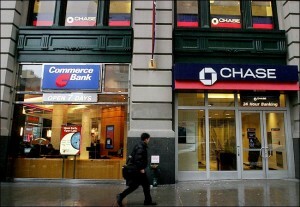 Banks are one of the largest stakes for criminals who are in dire need of a large payout. When you have the proper surveillance systems in place, it will help to deter the criminal from trying to rob your establishment. If they still end up acting out their crime, you will have the necessary images to help aid authorities in the apprehension and prosecution of the criminal. In situations where fraud and robbery present themselves, you will be able to use the recorded images for identifying and tracking down the potential suspects. Not only will the evidence serve as a means to bring the criminal to justice, but also it ensures you have the right person in custody. An IP security system that offers advanced video analytics such as facial recognition are working to help fight the problem of check fraud at a number of banks by being able to record the transaction data and capture the images of potential offenders. This information is helpful in working to identify criminals and protect customer accounts. The last thing a bank wants to deal with is a customer who is working to take advantage of the system and swindle the bank out of hundreds of dollars. Bank customers will often report that there was an ATM withdrawal on their account when they had no knowledge of the incident. 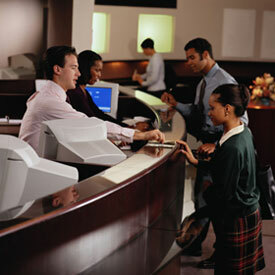 Bank cameras are able to record all of the ATM transactions to help provide the customer with the answers they desire. Since a number of different inventions are out on the market today, customers have to be on the lookout for any suspicious transactions to prevent attempted fraud on their accounts. Thanks to the modern surveillance systems, it allows for footage from more than one branch to be sent to a central monitoring location or through the Internet. This allows the bank personnel to determine what is going on with all of their locations and ensure their establishments are safe and secure. With all of the modern surveillance systems, a security camera and alarm combination will be able to be integrated into a single network. You will be able to monitor and control everything with one convenient remote location. An intelligent security system that has video analytics such as facial recognition, motion detection and behavior recognition will help in identifying any abnormal behavior or activity in the bank. Being able to detect the presence of suspicious activity before it strikes is imperative to controlling the situation and getting things back on track. With all of the digital technology, managing and storing all of your surveillance footage is a lot more convenient, efficient and accessible to business owners everywhere. Using this amazing technology, you will be able to pinpoint any specific activities and incidents that arise to help identify suspects in the crime quickly and easily. Security systems provide you with continual surveillance in banking facilities, which provides you with protection far beyond that of the traditional workday. When you have this type of technology in place, you won’t have to worry about your ATM machines being left unprotected. Customers are able to access the funds they need when they need them, without having to worry about not being protected by their banking institution. A video surveillance system using digital technology is able to provide banks with an advanced level of data recognition that proves to be extremely useful for being able to search through hours of footage to locate a specific bank transaction or image of someone in question. When time is of the essence, this feature can prove to be quite beneficial for banks everywhere. When you have a bank that is safe and secure, customers will be confident in their abilities to provide them with the level of services they desire. Effective surveillance systems in banks will help go farther than one might think for the overall security package. An IP surveillance system allows you to monitor your business from a remote location. You will be able to view the footage in real time, as well as retrieve any of the archived footage from a device that is connected to the Internet with network access. • Do you currently have any security cameras in your bank? • Do you have an ATM machine that can be accessed around the clock? • Is there a police officer or other security guard on duty when your bank is open? • Does your bank have a parking lot attached to it? • Are the tellers out in the open or located behind a secure piece of glass? 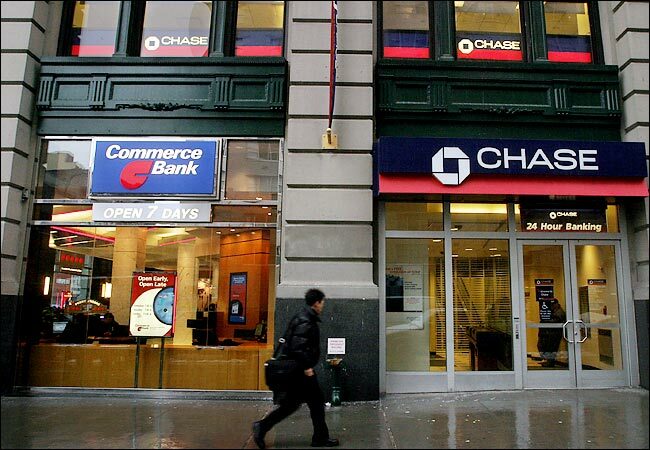 • What types of security means are acted upon when the bank is not open to the public? • Are there a large amount of instances where the bank struggles to overcome check fraud? • Were there a large amount of fraudulent ATM transactions that occurred at the facilities? • Have there ever been robberies that occurred at the bank? Even though security systems are wonderful when it comes to protecting the assets of the business, customers and employees, you will still want to have other measures in place for protecting the property. The last thing you want is to have one option that you rely upon for keeping your property safe. You need multiple avenues to ensure there is nothing that slips through the cracks in your establishment. Security personnel are imperative to the safety and security of your customers. Banks are one of the main places that need to have a security system in place, which is where security cameras come into play throughout the institution. Make sure that the cameras are not going to violate the privacy of any customers, employees or other individuals. Bathrooms are one of those areas that you have to leave alone in your business, so remember to keep that in mind when setting up your system. If you end up with a criminal messing with your security system, you could end up with a delay in your recording. Make sure you have a backup means in place in the event something was to happen to your primary security system. Not being able to identify the perpetrator is only going to make it that much more difficult to help apprehend the criminal. Regardless of what type of security camera you put into your business, you will want to ensure you have thought about all the potential risks and advantages associated with your device. Since there are a number of different options on the market today, you will want to determine the type of unit you desire and the number of cameras you need in your location. It is always best to have more than enough cameras than to leave something to chance.